It is difficult, after having read Wilde’s letters, so show you to the French public as the type of perfect friend: you were more than that: you have been chosen by Legend and Poetry as one of their heroes. What your friends must do for you is not to follow you in this posthumous quarrel with Wilde’s shadow…-Maurice Rostand to Lord Alfred Douglas, 1937. After the death of Oscar Wilde, two of the playwright’s closest friends – both former lovers – went to battle against each other over who would control the narrative about Wilde’s life, and who history would blame for his death. The battle between Lord Alfred ‘Bosie’ Douglas, the playwright’s greatest love, and Robert Ross, Wilde’s devoted friend and literary executor, was particularly ugly, and led to the revelation of sexual secrets and personal letters, blackmail, stalking, and no fewer than five lawsuits. 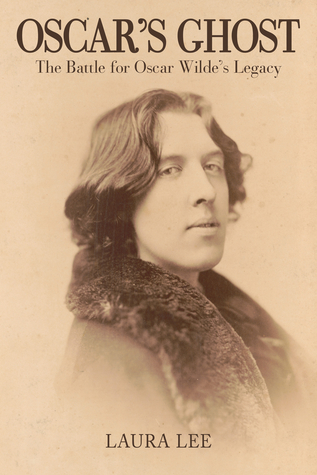 Each man tried to use the secrets from their former intimacy against the other: Ross was systematic, had more friends, and as Wilde’s executor had access to all of Wilde’s papers, including personal letters from Douglas to Wilde; Douglas had a single-minded focus, a tenacious fighting spirit, and the sense of entitlement that came with his title. Oscar’s Ghost is the first book to focus solely on this heated feud. It was a struggle that was not only to have serious consequences for the two participants, but which also affected how Oscar Wilde is remembered today. 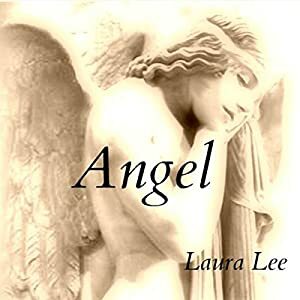 Laura Lee’s Oscar’s Ghost provides a variation on biography as retrospective: biography is not just a matter of looking back at a life, but instead a question of how the sources of that life are assembled for posterity…The back and forth of the lawsuits, mainly a result of Douglas’s relentless persecution of Ross, makes for compelling reading in Lee’s book. …useful–and enjoyable–addition to the Wildean canon… full of good things, novel insights and interesting asides…The intricacies and repetitions of the various court cases initiated by Ross, Douglas, Crosland and others can be fascinating, tedious, dispiriting and incomprehensible– almost all at the same time… There is much impressive research here and [Lee] lays it out with a light, sometimes humorous touch…Lee brings a certain freshness to her project. It is unsentimental and non-judgemental; and it usefully draws on contemporary newspaper reports to reconstruct personal appearances in court by the various participants. …a fascinating account of the feud between Robert Ross and Alfred Douglas and of Wilde’s legacy…While the relationship between Wilde and Douglas cannot simply be seen as just a great tragic love story that was thwarted by dark forces, nonetheless the complications that beset it, and the personalities of the two lovers themselves, make it one of the most fascinating gay love stories. Meticulously researched and evenly presented, Lee presents the dramatis personae in their full contradictory glory… More than a dry retelling of queer history, it is an engaging story in its own right.